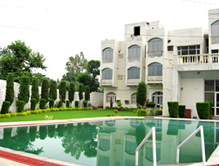 Hotel Asia Vaishno Devi in Katra is a very fine accommodation with superb infrastructure. Situated on the footsteps of Trikuta Hills, it is the ideal choice of accommodation during your visit to Katra. The rooms and the interior scream luxury as they come packed with heart stealing hospitality that surely vouchesfor a gala time. The picturesque vista offered presents a symphony of mysticism and tranquility. Its location makes visiting the nearby attractions like the Raghunath Temple and Shalimar Park very convenient. The amenities offered like spa, baby sitting will help you rejuvenate after the tiresome trek to the Vaishnodevi Shrine. The hotel has 38 rooms with every room facilitated with air conditioning. 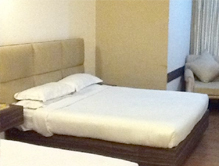 There are four options of room available to choose from – Royal Room, Single Bedroom, Double Bedroom and Family Bedroom. The hotel also features complimentary wireless internet access that helps you stay connected with your family and friends. Hotel Asia Vaishno Devi’s each room is power packed with latest amenities which sum up to make it the ideal place to stay while you spend your vacations in Katra. There is a multi cuisine vegetarian restaurant that offers the views of the mystic Trikuta hills that impart a very divine and magnificent vista. In the preparation of each meal use of onion and garlic is prohibited, yet the food is very mouth watering.